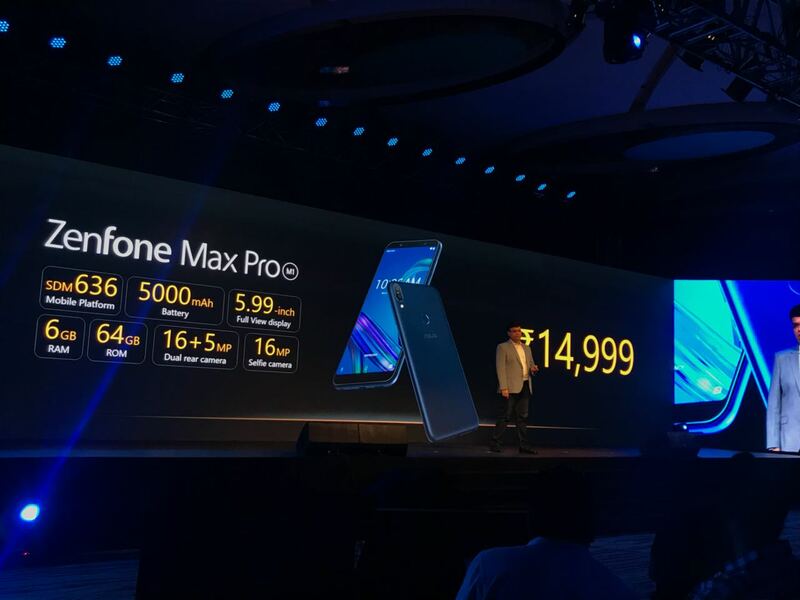 About two months back, Asus launched the Zenfone Max Pro M1 in India with impressive specifications and unbelievable pricing. The specifications and the pricing made it the best phone to buy under Rs 15,000 after the Redmi Note 5 Pro. In fact, some specs like stock Android and 5,000mAh battery make it an even better choice than the Redmi Note 5 Pro. Still, the cameras make it fall short to the Redmi Note 5 Pro. When the phone launched two months back, the company also announced that a 6GB RAM variant of the Asus Zenfone Max Pro M1 would also launch soon with better cameras. Today, the 6GB RAM variant showed up on Flipkart which hints towards the launch of it pretty soon. Talking about the changes in the 6GB RAM variant, the primary sensor on the rear is a 16MP unit (compared to the 13MP primary rear camera on 3GB and 4GB variants). Also, the front camera is upgraded from 8MP on the 3/4GB variant to 16MP on the 6GB RAM variant. Rest of the specifications of the 6GB variant of Asus Zenfone Max Pro M1 remain the same. The company has already announced that the 6GB variant is coming with a price tag of Rs 14,999, which is undoubtedly a better pricing as compared to the 4GB + 64GB variant of the Redmi Note 5 Pro that’s priced the same. Are you waiting for the 6GB RAM variant of Asus Zenfone Max Pro M1 with better cameras? Do let us know via the comments section.